For a modern industrial feel inside your room, this Amp Lamp Large - Smoke Black is just what you need. Inspired by amplifiers fromt he 60s, the lamp is crafted with vacuum tubes which were used to augment the sound. 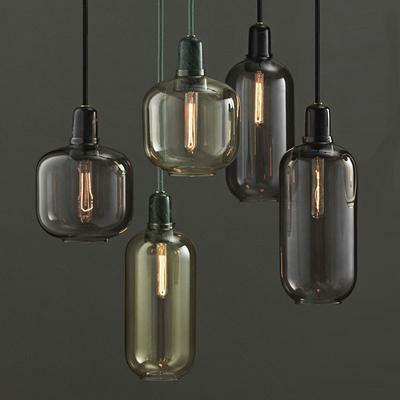 It's crafted with a jar-like design, with the light suspended right inside the centre. 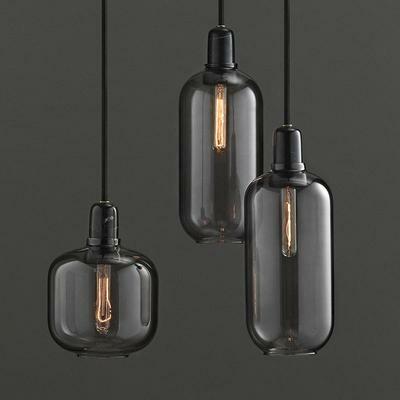 The smoked glass look makes it ideal for modern industrial spaces while the stripped black accents complements everything perfectly. If you look closely, there's even a touch of marble added to the piece, giving it a retro industrial flavour. Use this in on its own or use it in a cluster. You can create pockets of light or concentrate it on one large area. It would look great by the hallway, above your dining table or even in your living room. 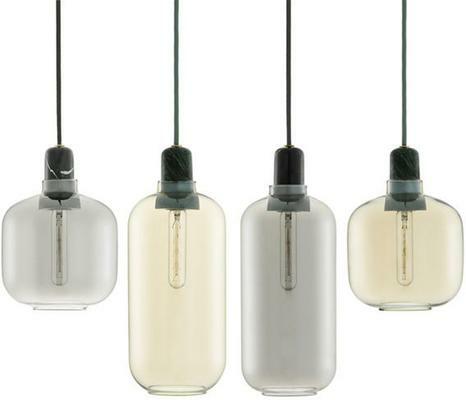 Each light uses a 25watt light bulb and is available in two sizes and colours.